1. Stop use immediately if the following symptoms occur, and consult a dermatologist. 2. Do not use on areas of injury, rash, or skin inflammation. 3. Keep out of eyes when using the products. Immediately rinse with water in case of eye contact. A) Close lid tightly when not in use. B) Keep out of reach of children and infants. C)Do not store in high/low temperatures, and keep away from sunlight. 5. Try patch test on small area of skin before use or when switching to a new product. 6. Do not place product contents back into container after use to avoid deterioration of quality. Keep away from children and infants. This is a cosmetic product not intended for consumption. 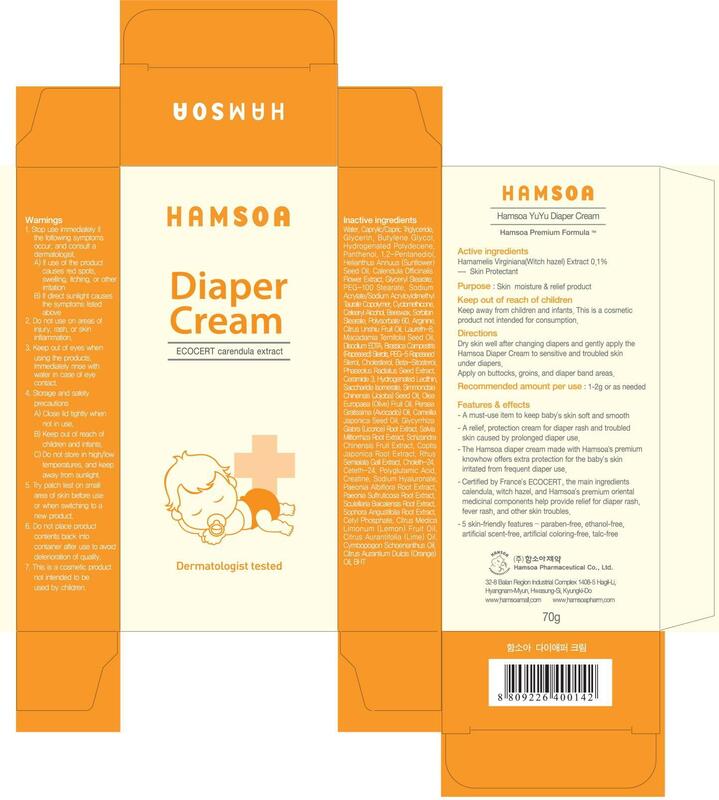 Dry skin well after changing diapers and gently apply the Hamsoa Diaper Cream to sensitive and troubled skin under diapers. Apply on buttocks, groins, and diaper band areas.